The hospitality industry is all about customer interaction, with a focus on improving customer experience. Hospitality customer relationship management (CRM) software is vital to the hotel industry, designed to help businesses improve customer experience and thus enhance customer loyalty and grow market share and profitability. Hospitality CRM is essential to staying competitive in the marketplace and making your services stand out. One of the leading customer relationship management applications, Salesforce is designed to manage different aspects of your business, from marketing to operations to customer service. The easy-to-implement software captures leads and referrals from guests and helps you create socialized email marketing campaigns. The adaptable CRM software integrates with Adwords, making it easier for you to set up Pay Per Click campaigns, drive traffic to your booking page, and measure ROI of marketing campaigns. With Salesforce, you can automate sending out regular emails and promotions and easily monitor marketing campaigns. The customizable tool allows you to add or remove items that are irrelevant to your business. Cons: In the beginning, you may find the application little confusing to use, since it is full of features. However, once you understand the functions of different features, using the system gets easier. A modern, easy-to-use hospitality CRM solution, Freshdesk customer comes with a user-friendly interface, helping customer support executives quickly resolve trouble tickets. The application integrates a range of communication channels into a single stream of tickets, including integrating social media platforms into the system for seamless flow of information to and from customers. With an array of features, the product gives access to effective communication with clients around the world. The intuitive application makes it easy to keep track of all tickets. Cons: Finding specific buttons on the system can be a hassle when you begin using the platform, and the problem continues until you are well versed with it. Achieving excellence in client satisfaction is the goal of the hospitality sector. The purpose-built Microsoft Dynamics is one platform that can easily solve the problems faced by hospitality industry, helping automate sales force and customer care processes. With sales force and marketing automation capabilities, the hotel CRM software empowers your marketing & sales agents to use intuitive tools to track prospects, monitor opportunities, manage existing clients, and incentivize performance. It boasts an intuitive user interface and easy-to-customize dashboards that offer better visualization. Cons: There is a steep learning curve, and understanding the system effectively is time consuming. But it is well worth your time to train in the feature-rich system. The web-based hotel CRM, ProsperWorks gives you a complete view of customers, helping you offer a better service and become more efficient in providing solutions to customers. The feature-rich software comes with lead tracking, email integration, and opportunity management capabilities. Easy to use, the intuitive platform automatically gathers all of customer information at one place, reducing data entry so that you can focus more on serving customers than collecting data. The software is designed to work with Google apps, helping you organize and track sales opportunities and manage relationship with customers. Cons: The report features needs little improvement. It is difficult to understand how to best use report feature and get an accurate assessment of the number of open opportunities. Designed for small businesses, RightNow CX software for hospitality industry comes with service orders, project management, sales automation, and billing management capabilities. The software offers billing and service order management, allowing users to process and document payments while facilitating the task of handling account balances. Compatible with a range of operating systems, RightNow CX solution features a dashboard for the seamless monitoring of sales activities, helping you make informed decisions about sales processes. Designed with a mission to enhance customer experience, the intuitive yet comprehensive system is easy to learn and use and optimizes services for a range of smart devices. It comes with an array of features to enhance customer experience, including Voice Experience Management. Cons: Some improvements can be made in email management to eliminate the existing limitations and make the system even more functional. Looking for the right hospitality customer relationship management to offer better customer services, improve customer satisfaction, and enhance customer loyalty? 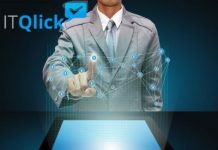 At ITQlick, you will find a team of professionals at your service. We will make the best software recommendations that will help grow your customer base, market share, and profitability.